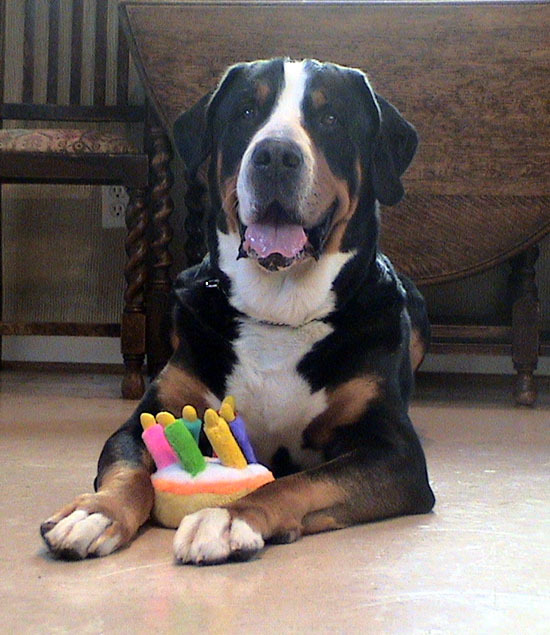 Greater Swiss Mountain Dogs (sometimes called “Swissys”) are heavy-boned and powerful. 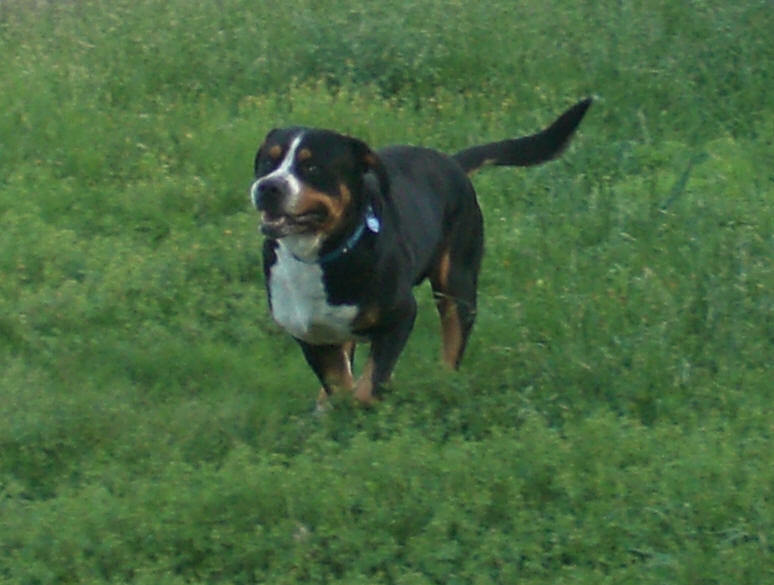 Although extremely large, they are were bred to be agile enough to carry out farm duties. Their coats are mostly black on the back, ears, tail, and the majority of the legs. 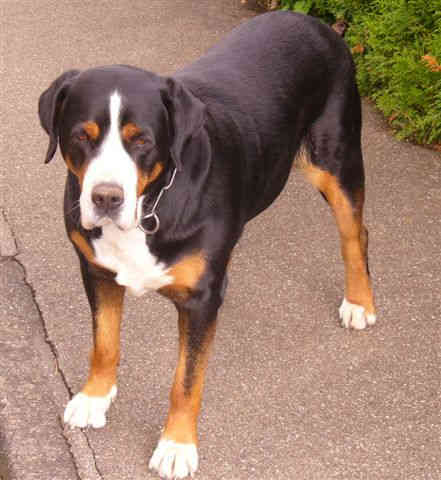 White should be on their chests, on the front of their muzzle, and running up to their forehead. White should also be on their legs, paws, and the tip of their tail. Rust coloring is prominent along the sides of their muzzle, over each eye, and along their legs. Their double coat is thick with textures that range from long to wavy, coarse to fine, and short to straight. During the year, they will have one or two heavy shedding periods. They shed in small amounts at other times. These dogs are very sociable. 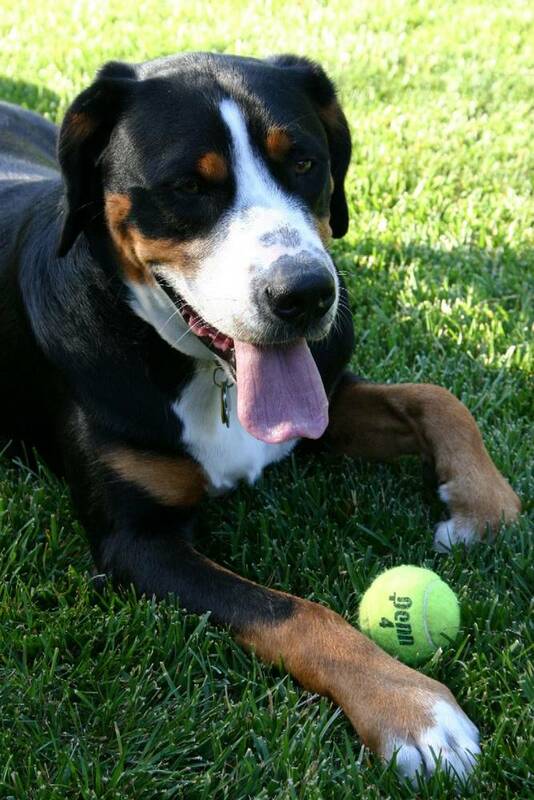 They love being in a family environment, and cannot stand to be placed in a kennel. They are active, but calm and reserved around strangers. 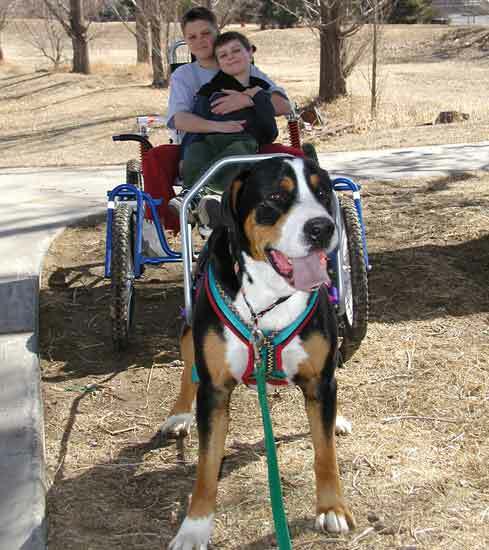 They love to please, are extremely faithful, and adore attention. 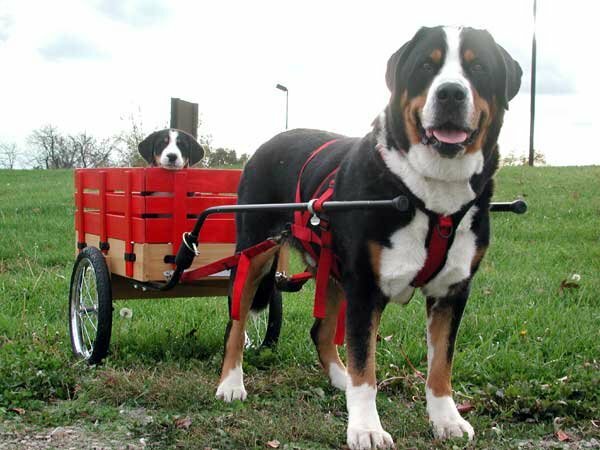 Greater Swiss Mountain Dogs were bred for work, so they’re perfectly happy to help you haul a cart or carry a backpack. 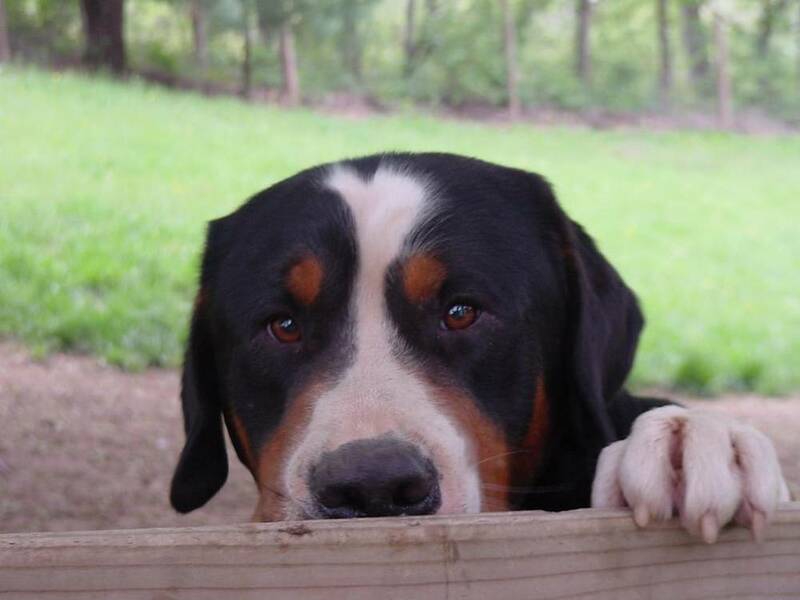 Interested in learning more about Greater Swiss Mountain Dogs?CLICK HERE!